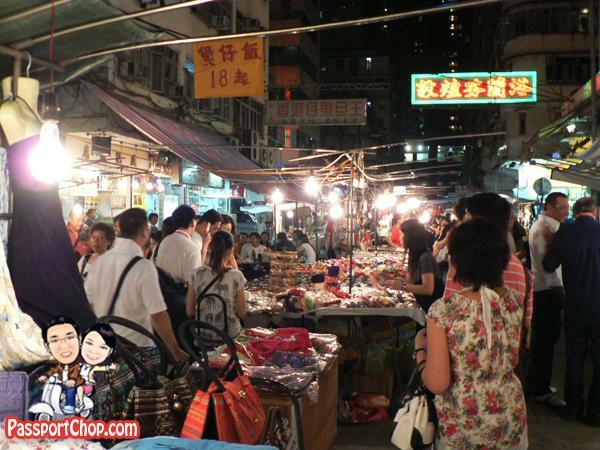 How to Bargain when Shopping in Shenzhen and Hong Kong? To get the most out of your shopping experience in Shenzhen and Hong Kong, you should pick up some bargaining skills or else you will end up paying too much most of the time. If what you want to buy, is sold in many nearby shops and stalls, chances are you will be able to bargain for a lower price than what’s quoted. It is a standard practice to negotiate for a better price. Usually the real price is 1/3 – 1/2 of the quoted. The vendors set prices with the expectation that they will be reduced in the bargaining process. Thus, if you don’t bargain, you are paying too much! Make a lower offer than you would plan to see what price the vendor will agree on. I usually have a target price of 50% of opening price and start with 40%. You will most definitely be made a counter offer (usually 80% of opening price). Consider the offer or at least pretend to do so (pause and look as if you are deep in thought) and make a 5-10% concession from your starting price (40% of the opening price). If you pause long enough (0.5-1 minute), the vendor might just cut his price further. During the bargaining process, keep smiling and keep the exchange of offers and counter-offers light and relaxed. Don’t get worked up and walk away angrily. Continue Step 3 until both the vendor and you agree on a price (usually 50-60% of opening price). If you still cannot get a good price, politely reject his counter offer, smile and walk away slowly. Walk slowly as the vendor might come running after you and cut his offer lower. If he/she does so, try again for a lower price. If he/she doesn’t come running after you, it is quite clear that the vendor is not making a profit at the price you want. Now you know what the real market price is. Bring a calculator – helps to overcome language barriers and ensure no miscommunication over prices e.g. fifty or fifteen dollars. You can also use it on the spot to do currency conversions (store currency exchange formulas – use the M+ function, for quick conversions). Be familiar with foreign currency notes – some countries use similar colors for different denominations. Once, I almost handed over a S$50-equivalent, confusing it with a S$5-equivalent note and the vendor knowingly accepted it (I noticed the sly smile as she went to retrieve the item I bought). Luckily I noticed the mistake and immediately exchanged it for the correct amount. During the bargaining process, the vendor might ask some personal questions e.g. “Where you from” and ‘What do you work as”, don’t tell them “I am from land of riches – Singapore and I am a director who makes $100,000 per year” or something along that line. You will lose your bargaining power. Be smart about the info you share with strangers. It is usually easier to bargain when the shop/stall is closing for the day – the vendor might be trying to clear some stocks to avoid bringing them back. Even if you have managed to get your desired price, that’s not the end of the story. Watch the vendor as he packs the item you bought to ensure that it was not swapped for an inferior or a different product. Once you have agreed on the price with the vendor, NEVER make another counter-offer or decide not to buy it. You will get an earful from him or even his neighbours. These bargaining tips and techniques could also be used in other countries besides Hong Kong and China. Try to understand the culture and customs of the area before trying to bargain so that you don’t offend the shopkeepers. Great article! It sure is a skill to master, but it will save you a lot of money. .-= Aaron Schubert´s last blog ..WA Fishing =-. Beware of buying ipods clones called i-robots in Shenzhen. A group of us at a conference purchased 12 and only 7 worked. The shop would not give us a refund for the ones that did not work. The story is much longer than this, but BEWARE of a shop called Weifeng Electroni Co at Luohu shopping centre (top level). Items will charge but lose their battery power in 10-30 minutes. Not much good for a portable device ! Thanks for the heads-up. Very useful info. Well this was nice I actually got something out of it. Thank for your info. It is very helpful.